Welcome to the Southwest Academy of Karate official page. We are your family friendly karate school in Palos Hills, IL. We have a fun and safe environment for your children to learn this fascinating and disciplined Martial Art. Come along and practice as a family. A great way for your children to burn of that excess energy, and a great way for you to keep fit, and learn self-defence too. Would you like more information on hours, classes and programs available at Southwest Academy of Kyokushinkai Karate? Please contact the school with your questions. Update the details, Write a Review or Report Error of Southwest Academy of Kyokushinkai Karate. View all Dojo in Palos Hills or in Zip code 60465. This Chart shows the Martial Arts Styles offered most in Palos Hills, Illinois area. 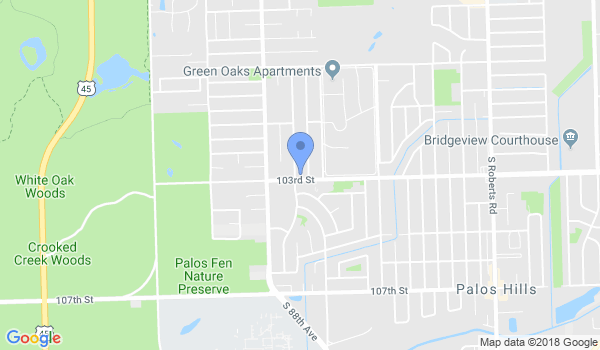 View a list of Dojo in Palos Hills, or enter your address below to find schools closest to you.